Villa really should be going into the second leg with more than a one-goal lead, as they pissed all over Rovers’ chips in the first half, and should have added to James Milner’s fine counter-attack goal, especially from the penalty spot – they had two good shouts for pens turned down by Mark ‘Mr Vain’ Clattenburg. Rovers were a totally different side in the second half, but it must have been frustrating for Rovers fans to watch their team play so badly in the opening 45 minutes – they were all over the place and it looked as if Villa might win by three or four goals. But once Big Sam had descended from his lookout post at half-time, things got a lot better, and his players at least looked like they wanted to make a game of it. 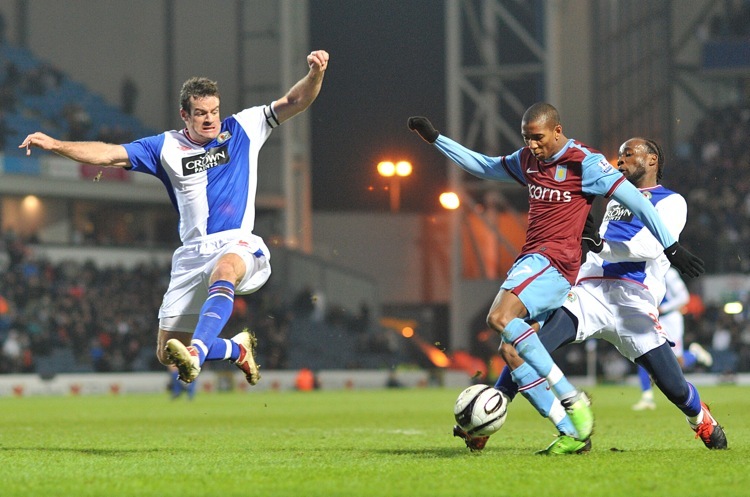 Still, I can’t see Rovers turning this around; Villa to Wembley, ftw. Who they’ll play there, I don’t know. I tipped Man City at the end of last year, and that’s who I’m sticking with – Man Yoo are not playing well right now.